At Gibbs Law Firm, we understand how important and delicate family law matters are. These issues can affect you, your spouse, your children, and your entire family's dynamic for years to come. This is why our team works closely with each of our clients with their free initial consultation, to come up with tailored case strategies that are cost-effective and perfectly suited to your needs. Why Choose Our Family Law Attorney? We approach each matter with the utmost professionalism, sensitivity, and legal savvy. When you need a strong family law advocate, why not have two experienced attorneys on your side? Turn to Gibbs Law Firm. If you would like to see how our team can help you, call us for a set up a FREE consultation via phone. No matter how complicated or difficult your case may seem, our family law attorney in Decatur, GA is here for you. 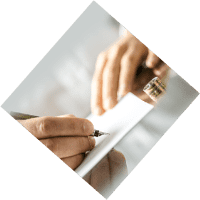 We walk you through every step of the legal proceedings, the paperwork, court hearings, mediation, and more. Although our priority is to resolve a case without going to trial, we will not hesitate to assert your rights in court if necessary. We are a respected trial law firm that knows how to effectively prepare and present a case in front of a judge. Every single client matters to us here at Gibbs Law Firm. While most firms say that, we actually show it. You get to speak directly with our family law attorneys in Decatur, GA at all times, we return all calls and emails, and we take the time to get to know you personally. This is how we've earned the trust and praise of so many of our past clients and colleagues. Contact Gibbs Law Firm to get started with your case.